Russian fighter jet intercepts US Navy plane, putting US crew "at risk"
A Russian fighter jet intercepted a US Navy plane this morning over the Black Sea, an encounter that lasted for 25 minutes and put put the US crew in danger. 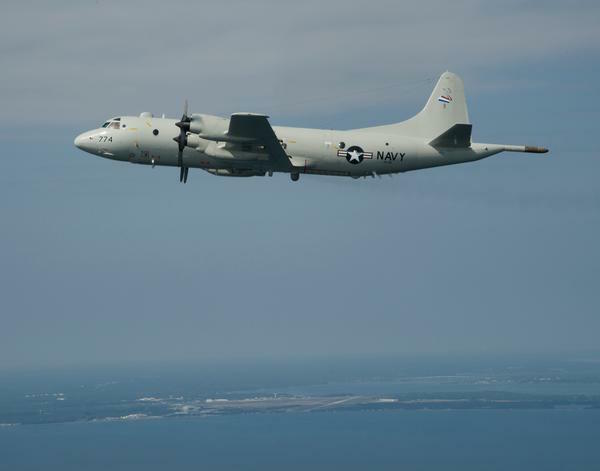 ...The Russian SU-27 jet passed directly in front of the US EP-3 aircraft at a high speed, the officials said. The US crew reported turbulence following that initial interaction in which the direct pass occurred. And according to the US Navy, "This interaction was determined to be unsafe due to the SU-27 conducting a high speed pass directly in front of the mission aircraft, which put our pilots and crew at risk. The intercepting SU-27 made an additional pass, closing with the EP-3 and applying its afterburner while conducting a banking turn away. The crew of the EP-3 reported turbulence following the first interaction, and vibrations from the second."